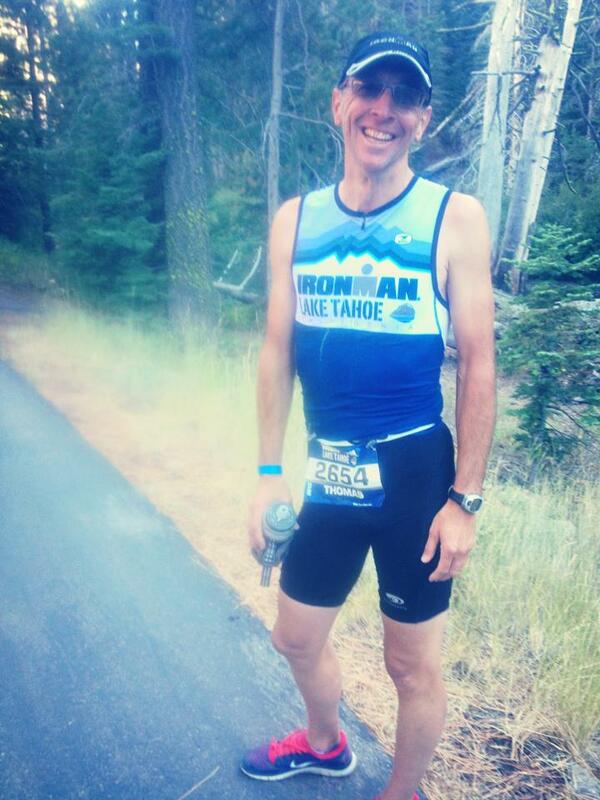 Ironman Lake Tahoe recap begins 15 months ago, mid July 2012. Patrick and I had become Ironmen at Wisconsin and Arizona in 2011 & I was signed up and training for 2 more, in Oklahoma and Arizona that fall. 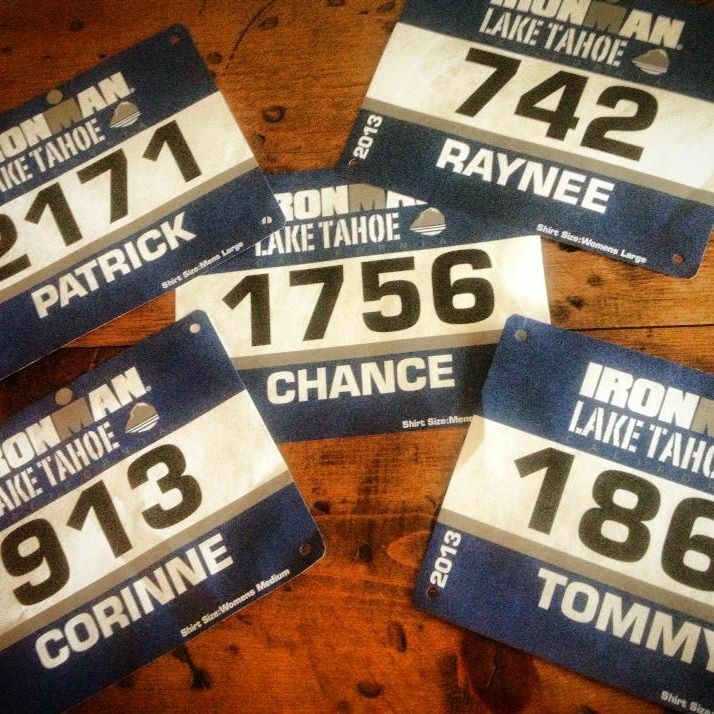 The day the announcement was made that Lake Tahoe was to be the location for an Ironman, an immediate text and phone flurry commenced among our IronFamily triathlete friends. 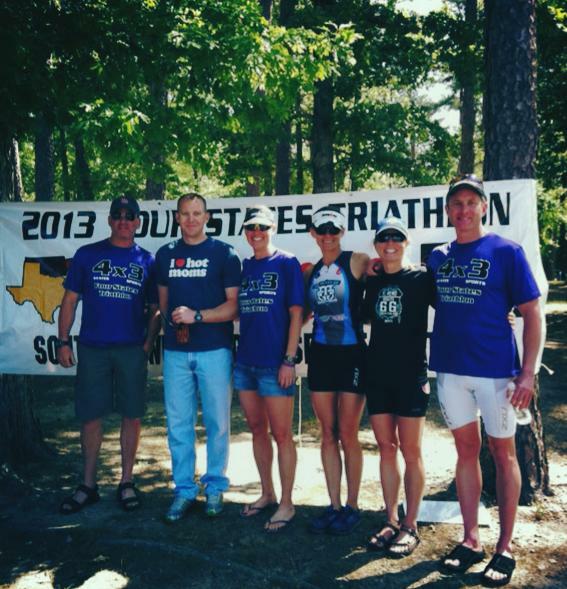 Raynee Toles also became an Ironman that year in Texas, and would be supporting her husband Chance in his first full at Redman that fall. 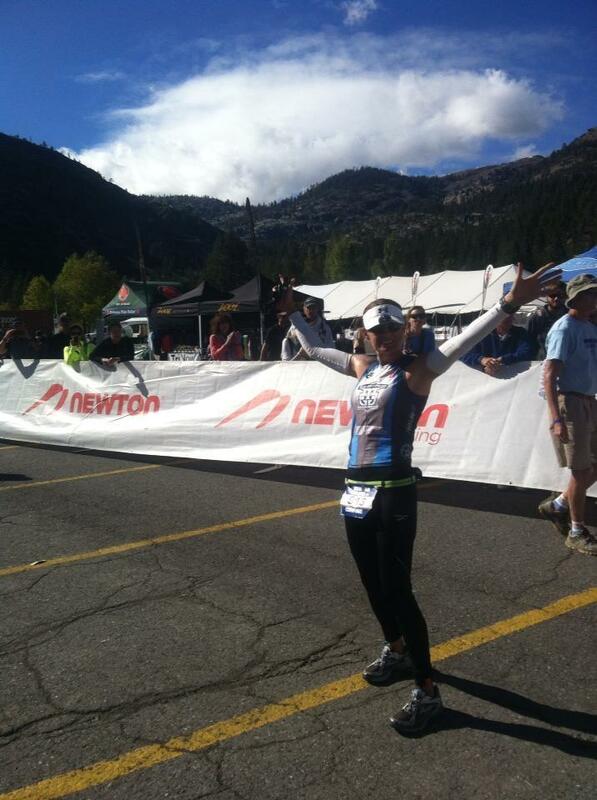 Shelley Coleman was going to finish her first Full at Redman that fall and her husband Tommy was about to sign up for his first full with the rest of us, supported by Shelley, in the already iconic just in pictures alone, Lake Tahoe Ironman. 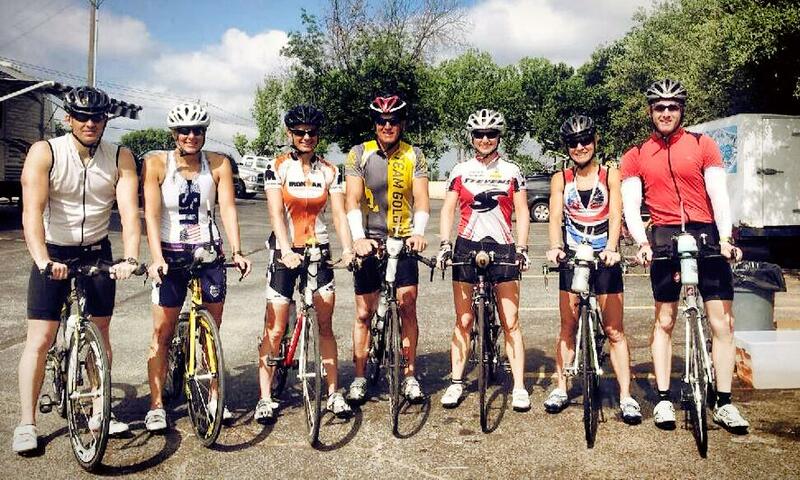 3 Families, 5 adults racing, 6 kids who are all triathletes on the same youth tri team ages 7-11, an Iron Nana sherpa, an IronMom sherpa, and the Toles’ sis and bro in law. One giant dream house booked in Squaw valley, a mile from the finish line would hold all 15 of us for the dream vacation and supreme athletic event. 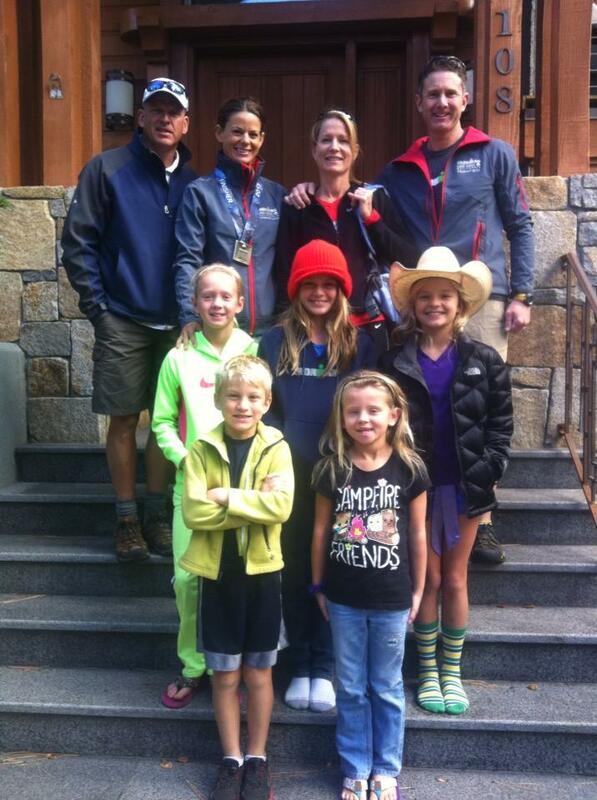 We commenced calling ourselves the Tahoe Dream Team, and kept each other inspired and laughing on our FB group page. I won’t go into details of the training, but pretty much 6 days a week at the start of the year, we were doing something to get us closer to the finish line. A little racing, some casual bricks, and bike rides together, lots of swimming together at the Y, and monthly family bbq to discuss “the plans”… the altitude, the mountains, etc etc. Spring Break in Bend, OR, I ruptured a ligament in my thumb doing something I am not good at, skiing. Surgery and cast pretty much derailed much of the swimming progress I had made, and took me out of some spring races, though I did manage one sprint in a cast, a great weekend the Tahoe Dream team traveled to together, so our kids could race one day and us the next. Summer was spent training in Oklahoma heat, though it was a welcome break from past years, more rain and cooler. Patrick and I had our only test late June at a 72.3 in Bend, the climbs at some altitude foreshadowed how hard Tahoe was going to be for sure! My family also traveled to Colorado and got to ride at altitude and some climbing, not enough to call it training, but good for the experience and to know it could be done. During this time, our dear yellow lab Donut was hit by a car, and our family devastated, with a huge hole of sadness and loss, miss her sweet face. The days move on and Everyone of us was ready for the peak of our long training, ready for August, biggie month. Ready for the challenge of it but also to be on the other side of it. I remember doing a LONG swim next to Chance August 9, comforted to be swimming and swimming for an hour plus beside a friend who was facing the exact same training and race I was. August 10, changed the plan. We all entered a charity 100 mile bike ride, Spin Your Wheels, it was great timing to have a supported training day with the Team together. During the first 50 miles we were together in pieces on and off, Chance and Raynee ahead of us at the turn around, but they waited. There we all managed to hook up – facing a strong headwind home, we took turns pulling the line. We all most benefited when Chance, as strong cyclist was in front, letting us grab his wheel, As we approached the final 10 miles, the group splintered and Raynee and I got ahead a few miles, assuming all would be ok behind us (but always in the back of your mind it may not be) We finished at noon, heard the noon sirens and got a call from Shelley, to please call back NOW. Instantly you know it is not good, they were all still riding behind us and should not be calling. The next 2 hours, were the hours we lost Chance. He had been hit by a truck and boat trailer in the final 2 miles of the ride, just ahead of Tommy and Shelley, and then Patrick. They and first responders tried to save him, and he made it to the hospital with Raynee by his side. Truly no words can express what had just happened, what we saw and felt and heard. He was without pain and free of this world within the hour. Our strong 36 yr old friend and partner was gone in an instant, and we had our other friend left with her world upside down. 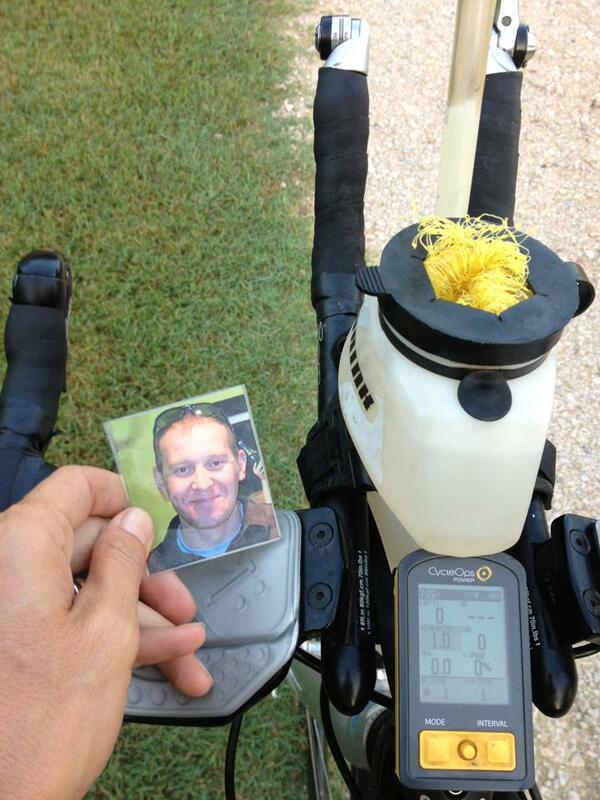 No bike ride was the same, in fact, worry and fear that it could happen to us is probably forever in our minds. Another good friend was also hit in a training ride with us the year before, and was beyond lucky to survive a 65mph impact from behind. So we all have had it in our minds, a reason to be cautious and aware, and start more actively promoting awareness to drivers and cyclists alike. No run was the same. It is easy for me to cry on a run. I cry for Raynee, her pain is something we cannot fix, and there is never going to be the right thing to say. 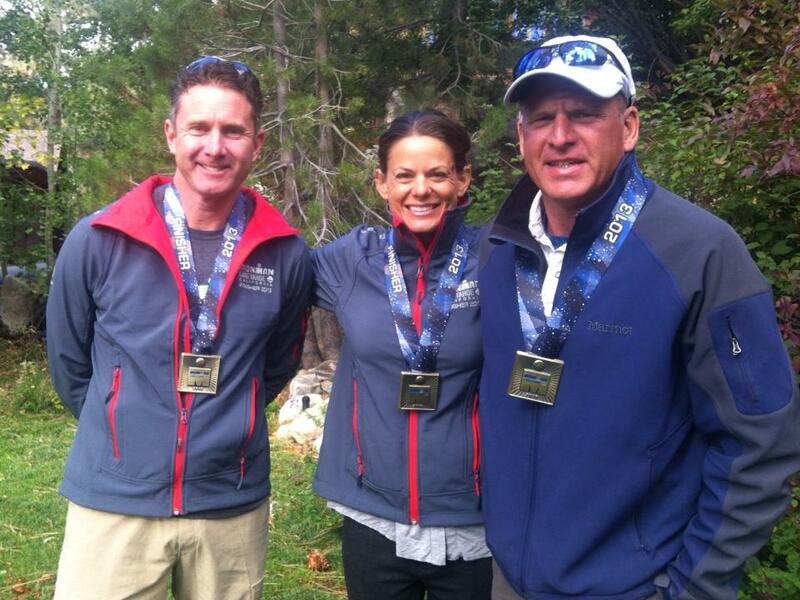 Her strength is beyond comprehension, as through her grief, she encouraged and cheered us on – wanting us to continue our Tahoe training. We all muddled through, at times felt great, we are doing the right thing, Chance would want us to, and at times just wanting to not try, to feel the overwhelming loss completely. We launched a fundraiser to fund Pasley’s education, and were just amazed at the generosity of the community and strangers. The messages were so heartfelt and really helpful to all of us. We started a foundation in memory of Chance, based on Chance’s easy willing way to help anyone he knew without question or thanks needed. It is called The Grab My Wheel Foundation. We want to promote awareness, safety, help families affected by accidents on the road, and share the mantra of Grab My Wheel, help those who need it to get through a rough patch, as he did for us. Focusing on this new mission gave us some excitement and eagerness to get to Tahoe, and share the story, but also to go ahead and finish the job we started. We knew we would need Chance along the 140.6 miles, and we also had Raynee in our corner every second from afar, our champion, our pillar of beauty and Ironmom, a friend for all time. Chance makes every bike with us. The Colemans finished most of their training rides on trainers inside their house, we continued on our relatively safe roads, but tried to stick together, not venturing out alone. Every time saying goodbye to the kids wondered, did I say it enough? My running was sidelined, perhaps to give me time to focus on the Grab My Wheel foundation more in the final weeks. I had 18 days of no running in September, some strange tendonitis type injury outside calf. Focus was on getting my entire right side healthy, and a week before the race, I could run again, no pain. With the way this summer had gone, while I always want to have a good enough race to qualify for the elusive Kona slot, I could honestly say, the chances of it this race, this time were dropping, not impossible, but not the primary purpose at all anymore. We rallied and friends new and old were wearing Chance’s bib number that Ironman assigned, in tattoos on our faces arms and hands. We shared tears with strangers we told the story to in Ironman village and cried with Ironman Athlete services as we collected the gear for Chance and Raynee. But it was not like we were all sad, the sad deep emotion part will always be part of us, but the happy living part was just made so much more important. We wanted to live and experience and love and try, and hurt and suffer and enjoy and celebrate. That realization we have all started to come to the week of Tahoe. Surrounded by perfect air, perfect mountains and enormous trees and a lake that defies description, Chance wasn’t missing anything, he was THERE. everywhere. 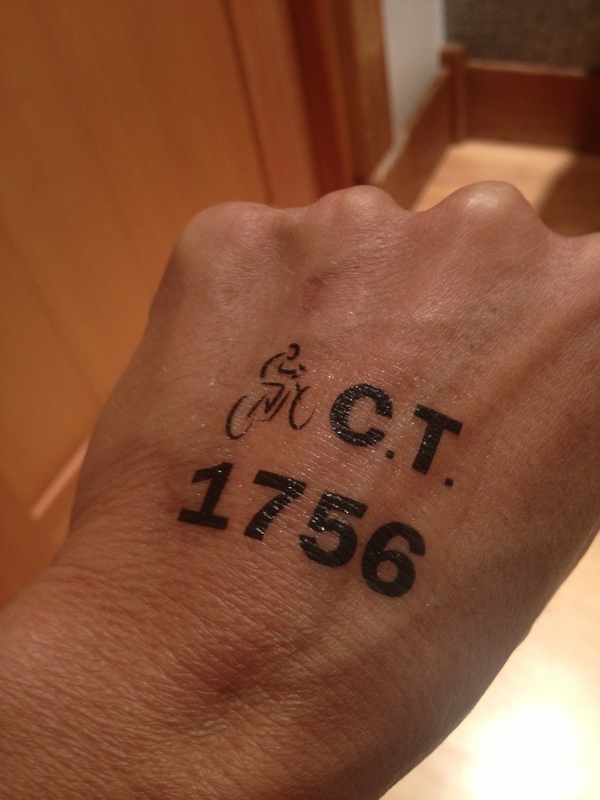 So I know you are wanting some race info soon, I just felt I had to give some back story. I know everyone has one, that’s what is so great about coming together at a pinnacle event Iike Ironman, every face you see has a story, some that will break your heart, some that are hysterical, some that are awe inspiring but all unique and the same, no journey was simple or easy. It seems cliche to say the victory in Ironman is getting to the start, but it really is true. Finishing an Ironman is icing. 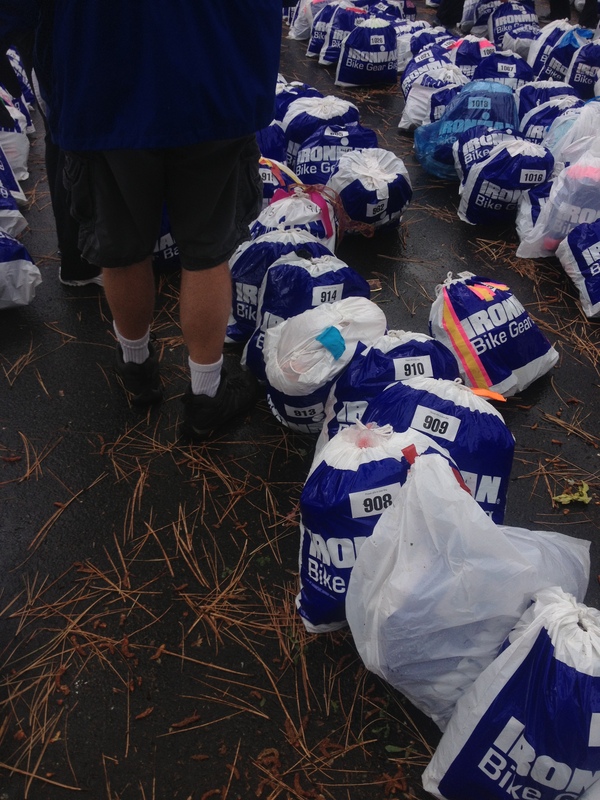 Twas the day before Ironman…. Martis Camp, gorgeous, before we REALLY climbed. The day before the race was cold. Like really cold. and Rainy, and really rainy. and WINDY. Big waves on the water. We stalled taking the bikes and bags to the Swim start, knowing it would all be in the rain for awhile. Still, as we dropped everything with the crowds, there was an amazing energy. So much unknown to come, most of us have never raced in such temperatures on a bike/swim at least. We knew that it was supposed to clear for the Race morning, and be a little colder but sunny, still it was just plain funny when it started to snow! 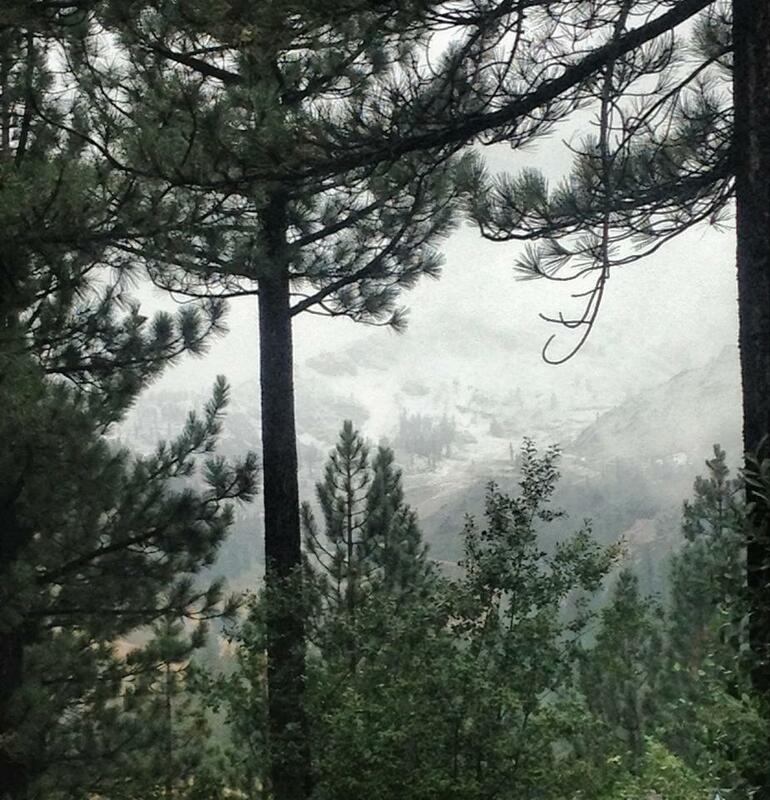 Big flakes, and the mountains soon were white. 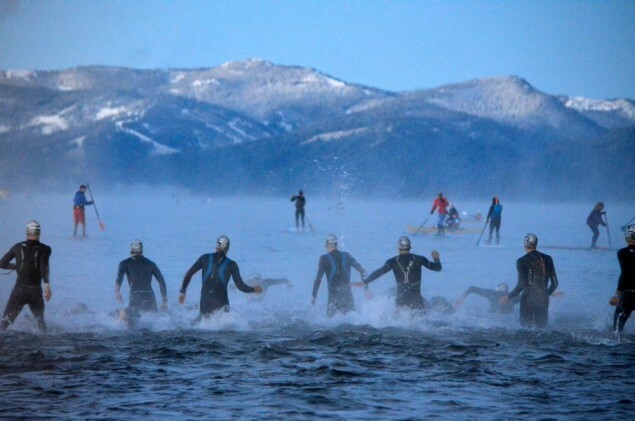 We were all just laughing, because any question that Tahoe was going to be the most epic race was just answered. We saw photos of people on the course driving on snow covered roads, more laughing. I mean, why not?! If you’re going to do an Ironman might as well REALLY test yourself ha. Race morning was really special, a full house of families all waking up one by one, much different than racing solo. Coffee pots going, bedheads, sound of showers and muffled talking and whispers. A feeling that they were sending Patrick, Tommy and I off to battle, a little undertone of wishes for safety. Soon it was time to get to the shuttle buses, so Shelley drove us a mile to the long line of buses waiting to load thousands of athletes. It was COLD outside, we wore hats and gloves and neck warmers and coats, and everyone was so quiet! I would like to have seen bubble above everyone’s head to read their thoughts. Eventually as we rode the bus in traffic, Patrick played a favorite training song for all to hear and break the Silence, Ali in the Jungle. —“It’s. Not. 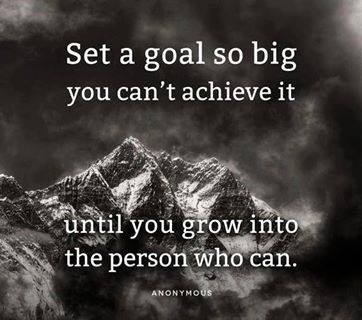 How You Start, Its How you finish…… It’s. Not. Where you’re from, It’s Where You’re at…..Everybody gets knocked down, how quick are you gonna get up? It’s. not. about the things you’ve done, it’s what you’re doing now” Perfect. I relaxed. So I never imagined, except in bad dreams, being late to our Ironman ha. We almost were. There is only one way in to King’s Beach and all the cars of family and spectators had the same timing as the buses. We rolled and stopped for miles, watching the time. Finally arriving after 6am, transition to close at 6:30. We had less than 30 min to check bags, get bikes ready, change clothes and get to start. Patrick thank goodness I have him, found a pump for me to air up the tires, we elected not to bring ours, and it was a challenge to find one to borrow. Our transition bags we had stuffed with warm clothes and double bagged because they would be rained on all night and just prayed that all stayed dry. Ice topped bags and bike seats that weren’t covered. The lights showed all the steam from athletes breath and it just was surreal. I left my phone at the house and hated not being able to take photos, so glad somebody got them once the sun started to rise. As we approached the end of the swim, which felt remarkably not tiring, the clear water showed the sand below and it seemed like we were being pulled in, flying over the ground with every stroke – I’ve never felt so fast, sure it was an illusion but was a nice way to end. We run and skip out of the water to the ice cold sand and run and run on cold concrete, every step hurt me poor cold feet. Find and grab Bike bag and run to changing tent, I saw wetsuit strippers, shoulda used one, but I had passed them and didn’t want to go back. I always am fast at getting suit off, but not today. Apparently my entire sensory system was frozen. I saw my hand pulling my wetsuit, but nothing moved, I pulled and pulled and nothing budged! Was so strange, I mean it should slip right off! I laughed because it felt funny to have such an inability to function. The tent was madness. we had zero wiggle room, totally teeny tent for so much gear and so many frozen people. Nakedness everywhere. I had kinda worried about stripping down, but you had to, had to get ALL dry, and everyone else was doing it, sooooo. It was hard getting stuff out of the bag, hard getting layers of clothes on, volunteers were great but spread a little thing. They were putting bras on and pulling shorts on etc. Here’s what I wore – TriSuit top and bottom, wool socks, toe warmers on shoe with handwarmer stuck in toes, arm warmers, thick drifit long sleeve top, thick fitted nike jacket, ear warmers, long running tights over shorts, my uber warm winter bike gloves, aero helmet (silly with all this non aero-ness). Felt like 30 minutes, surprised it was just 17min, my longest transition ever, but being warm enough to function well on bike was important. Out onto the bike, what a relief! Didn’t shiver at all, but couldn’t feel my feet or legs so relied on my power meter to tell me I was actually pedaling, how fast and how hard. Love that thing! You ride through Kings Beach and onto Carnelian bay, a little up and back on a bumpy hill, before going up the first real climb, Dollar Hill, a steep 1 mile hill that is on the north shore of the lake. So you are going up and you see the lake, a great spot. Felt really good because it got you warmer, and you knew 1 down, 2 more dollar hills to go! Then it was pretty fast general down/flat to Tahoe City awesome lakeside town, before heading north towards Squaw Valley and Truckee. You could go really fast here if you wanted to, but I chose to stay steady mid 20’s, and not kill legs, the big climbs were coming as soon as we hit Truckee. 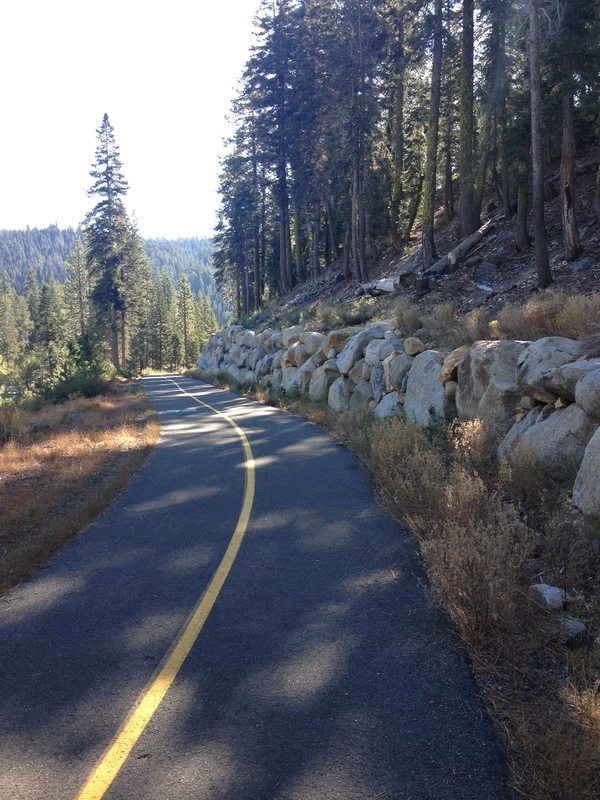 Truckee had a big festival for Ironman to ride through, bands, and roads blocked off. Will be neat to see how it grows each year, like Wisconsin did. On one bump here I lost my bottle of Tums. my entire supply. DANG IT!!! my pockets were stuffed full of extra lightweight gloves, and food that I was too frozen to get in my tri suit packets, so I put the tums in my aero bottle opening, seemed secure, guess not. right after that we went up a surprise 110-13% climb onto a no pass zone bike trail through the woods, right up and out of town, didn’t see THAT coming, hello! Then through a little similar neighborhood with some turns, and finally onto the highway that would take us to Martis Camp and Brockway Summit. Martis Camp is gorgeous. 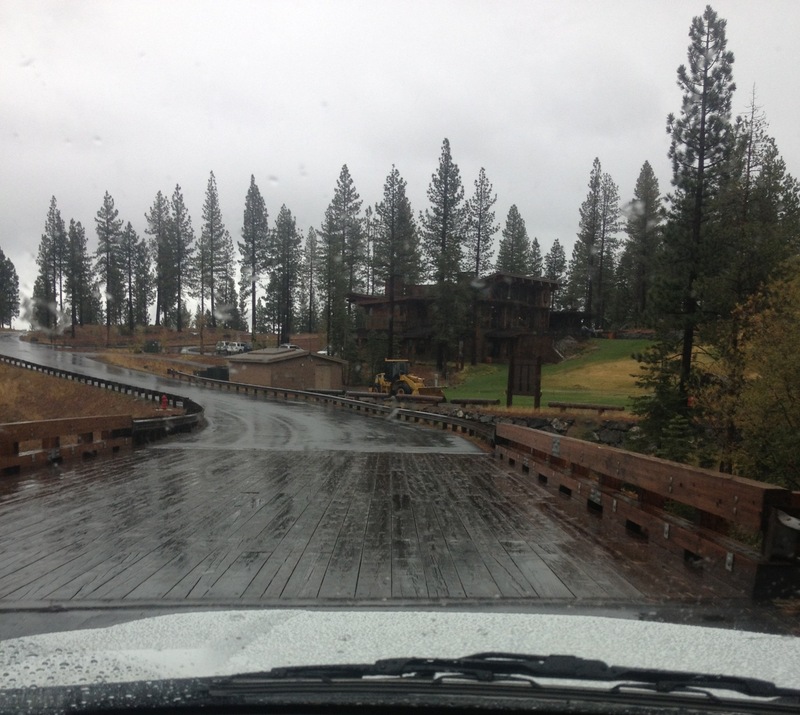 Martis camp was a secret, not open to see because of the residents there, very fancy homes, private golfcourse and skilift, very exclusive. They let us in the day before and what we saw looked hard. mostly climbing, fun roundabouts, up and up. They turned us around at what seemed the top and said the course went on for a little bit beyond that. No big deal. OK> Reality. You do all that climbing to that part on your bike, and you turn at that roundabout and START the climb. WTH!!! wow. you start climbing and go up and up and look up and see a line of slow bikes hundreds of feet above you on switchbacks. I don’t think I saw less than 10% grade. We were all just laughing about it and joking and trying to make ourselves feel better by admiring the views and homes, we had plenty of time we were ALL going so slow. I told Chance in my head, please help me survive this! Chance look at this! What a glorious sight! Chance please pull me up this turn… Chance I have to do this AGAIN! lol. I have to do this and run a marathon oh dear. Be careful. We got a few super fast downhill descents very curvy I felt like a rockstar flying down with guys that were really fast. felt brave but not stupid. Followed lines I saw them take safely, Then we’d climb again, go down again. Finally one more 13-15% climb then down we went, at the bottom, we turned right, and started Brockway. No break in between, bam we started the climb. Brockway by itself isn’t unbearable. 8-11% and sometimes more? slow and patient you get to the top. But after Martis Camp just before, just put a new difficulty level on it. I managed getting to the top, to this point not one girl had passed me, and not many guys so I was happy, and feeling really good, but wondering how long that would last, what about lap 2? Brockway down was a blast, thankfully none of the roads were wet from all the weather the night before, so we FLEW! I was over 40mph all the way down. You have to sort of commit to going fast or not, if you are in the middle I think it’s more dangerous. I used my disk wheel cover, glad I did (esp going 5 mph on climbs haha) but others’ fears about winds didn’t mess with my wheel, felt very stable. Get to the bottom of the hill and you are near the start, one lap done, 1.5 to go. The second lap was a repeat of the first. Managing effort for the run, taking advantage of speedy areas when I could. Dreaming of having a solid run too.. Half way to Truckee, I see my sherpa crew, Shelley, Mom, and the 5 kids they hauled, all by the side of the road screaming. So great to see familiar faces, no time to ask about Patrick and Tommy, wondered if they remembered to turn on their trackers, because I had forgotten until I got dressed. Surely they remembered? Were they ok? The second lap I knew would be a errrr, challenge. The hills did not disappoint. I stopped to take off my jacket, ear warmers and change gloves at the bottom of Martis Camp, 3 girls passed me. grrr. lol. stalkers! ha. oh well, I caught 2 of them on the climbs. Still amazed at how well some guys can climb, made me really wish I lived in mountains to train like this all the time. This time at Martis camp it hurt, it was hard to go easy, it was hard to go hard, going so slow you could tip over, but still pass people, not sure how they were still upright. Some people walking their bikes. No flat spots to catch your breath. The downhills seemed really short this time, knowing that Brockway was coming again. I tried to feel thankful for each segment completed, this time no one was in the mood to talk or joke, and only a few glances towards the majestic mountains this time, ALL energy required to stay moving forward. Start of Brockway you almost wanted to cry or laugh that we signed up for this. I think I wimpered for help from God and Chance often up this hill. Half way up I started feeling woozy, and tried to keep going, then I saw 2 guys in front of me get off their bikes and walk, Thought what a brilliant idea! Hahah. So I too got off, and almost threw up on the side, stayed there for a minute to ease the queasy and commenced walking, in bike shoes, up a mountain. That is stupid. After about 50 feet, I gave up that idea and got back on and committed to finishing this dang hill. NOT GETTING OFF AGAIN. See the familiar sign ahead that says “No Passing Zone ahead”, so we were in the summit close-ish range. There were miles of cars stopped in the opposite lane all the way from top to bottom, some cowbells, some yelling, but pretty quiet, at one point a guy next to me yelled TURN ON SOME FREAKING MUSIC PEOPLE! COME ON!!!!! We were desperate for SOMETHING, but most were just there STUCK in their cars, not there to support, no clue what they were witnessing, or how they could help us. Near the top I sobbed a little, I had made it. OMG I had done it twice! Just Dollar Hill for the 3rd time and I GET to run a marathon! Dollar Hill is at mile 100. A cruel marker of the last leg sucking segment. At this point arms, shoulders, neck, back all hurt. I fantasize about seeing my massage therapist… No sign up the calf/tendon strain acting up, I had been careful not to push it but there was almost no way not to, so I was relieved. Getting off the bike was going to be soooo good and I might actually be able to run. celebrating start of marathon! yeehaw! 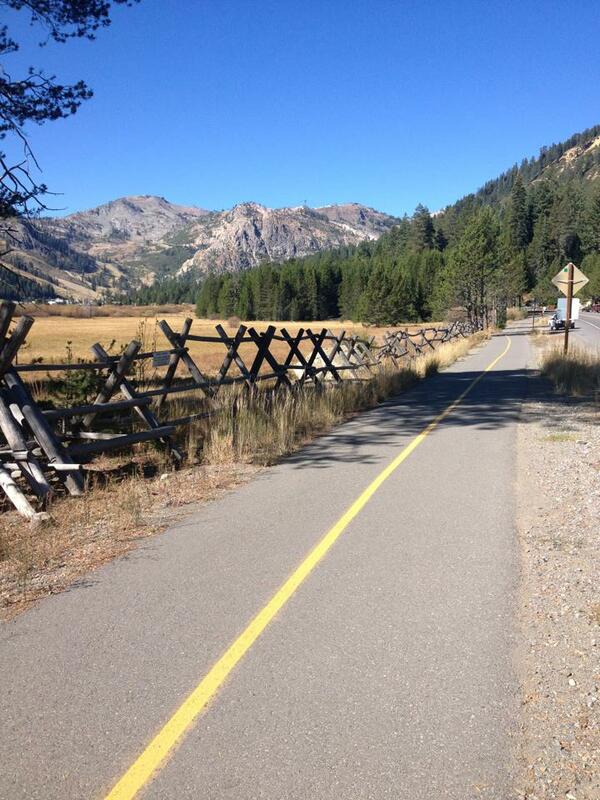 Heading into Squaw valley is a glorious way to finish a bike ride. You get to see runners already on the trail, some pros leading the way, and the village and mountains and music welcome you. Ride past the turn to our house and look up, wondering where everyone else is. Transition 2 was uneventful, just taking off extra clothes, a port potty visit and then YAY my people! Waiting outside yelling! Stop for some pictures, but want to get this thing done so don’t stay long. We run right by the finish line on our way out, soooo tempting lol. The Run: The run was something I should feel most grateful about considering I was unable to run at all just weeks before. 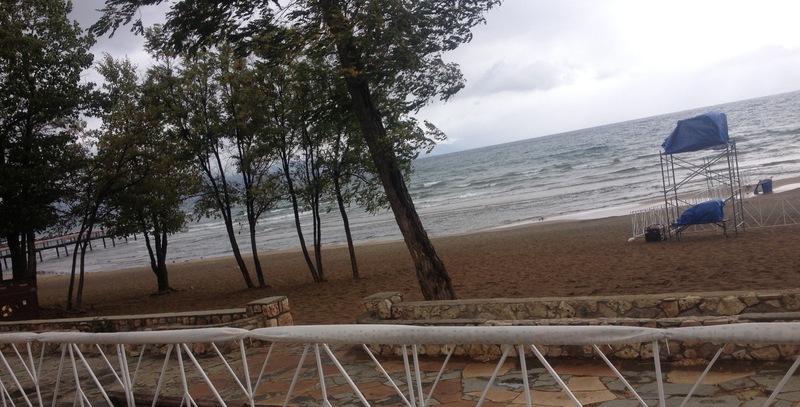 As I started running, I was excited, cautious but hopeful. Decided to stay safe for 6 miles and hold around 8:45-9min pace, If I could manage 9 I could have a 4hr marathon. And it felt great so far so why not? ha. why not indeed. Tight hamstring on the bike didn’t show itself on the run, calf thing didn’t, hip flexor thing didn’t, ankles sore from cold and bike I think, but that was push through-able. They started throwing in steep hills and long climbs I was not aware of. Things started to get tougher breathing wise, and I was walking every hill, conscious choice. The run was breathtaking literally and otherwise. Best run course ever, hard, but in theory gorgeous and laid out well, just those steep hills to get you from trail to trail were hard on me. Started to have to walk to catch my breath like in Redman last year, started getting pain mid chest, voice getting dry and raspy, and couldn’t get air in or out very well. About mile 12, I had seen several girls I think in my age group running strong ahead of me so I maybe gave up the Kona push it idea? I had to walk too much to be a Kona slot earner, and it annoyed me, and I had constant thoughts if I was being wimpy, or what… could I try harder? no, I couldn’t breath. Around that time a guy swerved and lay right down in the rocks on the side of the trail, and wouldn’t respond, then he started throwing up. Someone continued to get aid station help and I stayed with him, I was going slow already, what was 5 more minutes? He needed to not lay there alone, esp not knowing for sure how bad he was. He got help and got up and seemed to feel better enough to continue, so I went on. Running downhills, running 3min walk 1 min, walking up hills, eating chips, chicken broth, a sip of coke or two. It was still light when we made it back to Squaw Valley at mile 17-18, we had just 8 more miles! hard to believe. a short-ish out and back and I was finished. Everytime I needed to run again, I asked Chance help me, help me go! and I would do my best until pain in chest was enough that I was huffing and puffing. It got so cold out there, dropped to 30’s in the dark, so I grabbed a tin wrap thingy and covered up, it worked pretty well, though I made an annoying crunch crunch sound with every move, apologizing to my trail neighbors lol. Made some great friends out there as we continued our run/walk pattern passing each other, laughing when it was our turn to pass or be passed. Had to stop again up a steep hill for some nausea, but realized moving was way better than stopping for that. Kept wondering what the heck? Why had I not seen Patrick or Tommy? or anyone else for that matter, the entire run. Started to get worried, something had happened and no one could tell me. Heart skipping beats every time I heard and ambulance all day long. ugh. Tried to think positive and that we had all just missed each other on a turn or something. The final miles were lines of headlamps in the pitch darkness- all jiggling lights of determination, forward forward. We were all being pulled by the sounds ahead of us, music thumping, cheering, first muted then becoming clear. The Glowing surreal M-Dot on the mountain coming into view. Decided I could run the last 3/4 mile, run it, run it, no jog, I could run. I could hurt, I could not breathe, I could do THAT because Chance could not. I know Raynee and Pasley and my family were willing me home, I knew Patrick was out there still, and I willed HIM home, I knew Tommy was out there doing his first Ironman, and I willed HIM home. I was doing this. This thing, that I knew already was the most epic day ever in an Ironman for 99% of us. running into the beautiful swiss like village, with crowds so happy for you, so envious yet so thankful it’s not them lol. Nothing like an Ironman finish. I came around to the lights and saw the time, and was happy it was less than I imagined a little sad it was longer than I hoped. Then I started slapping hands – reached out to share that moment with me. I started to cry, the ugly face, and tried to stop & got happy and laughing and raised arms higher stronger than I have ever done in a finish. SO proud. So relieved, so honored. I crossed the line after hearing my name and was caught by the best Ironman catchers. I burst into uncontrollable sobbing hysterics. I so wanted Chance there, but I so knew he was there, I so wanted Raynee to have Chance, to be here with him, with us. I cried and cried, and the poor lady thought it was the Ironman cry, it was kind of. But so much more. Lots of crying was saved for this moment of happy and loss. 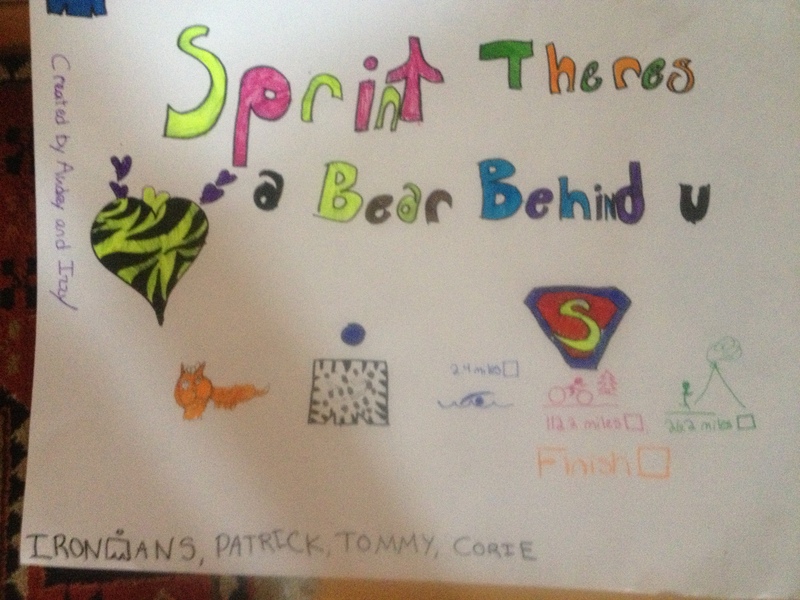 I pulled it together and told her why, a summary of what that finish line was, who it was for. She cried and held me like family. Then…. I proceeded to medical tent. I knew from Redman that IV fluids would help me breathe, help the chest pain go away. So I told them I had chest pain— woosh off to the tent I go:) no fluids but I got a good looking over, was 96F, so got warming bags laid on me and blankets and more broth, and lots of love from the medical staff. Got some acupuncture too! what a great tent it was. They called and texted my people, but in the end I just left and found Shelley waiting for me, Mom and the kids had seen me finish and then all melted down – such a long day for little guys in the cold! We were still waiting on the guys to finish, so I drove home quick with the crew and left Shelley to wait at the finish line, got a dry clothing change and came back to start collecting our gear while we waited. Was so happy to hear that they were together, Tommy came into T2 and the first person he saw was Patrick, what are the “CHANCE”s of that?! Hmmmm. interventions all the way. So they did the marathon together as planned. I found them coming into the village, a couple a guys from Oklahoma, on an epic day, about 200 yrds from finishing a journey that most will never understand. I kissed Patrick there, Thrilled he was there, in good spirits, knowing the next time I’d see him would be on the other side of the finish line, after their finish chute dancing and antics. So proud of him, IronDad again, I’m a lucky lucky girl indeed. I sit her reading this through tears! What a great experience! I am so sorry about your friend, he sounds like he was an amazing person!! Good job Sista! Absolutely beautiful Corie! You write so well and we can picture everything by your descriptions. Bitter sweet with the accomplishment of finishing, but without Chance and Renee. So neat with the NF guy, cool he had you all to cheer him in! Rest up when get home, n keep writing!